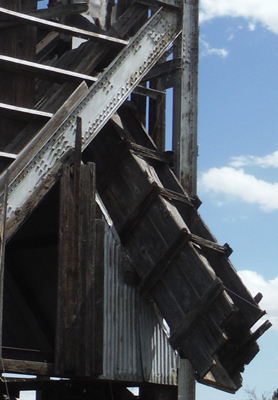 East of Duncan and just over the border into New Mexico is the old Steeple Rock Mining District. The district's name comes from Steeple Rock, the twin spired volcanic butte seen in the center of the photo. 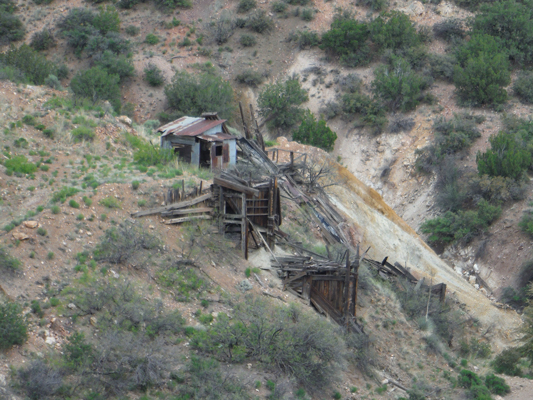 The majority of the mines in the district were gold and silver producers. The one exception was the Carlisle Mine. In the 1940's, it produced a large quantity of copper, lead and zinc. There were two periods of activity in the district. One began in the late 1800's and lasted until around 1900. In 1933, the price of gold was raised and all of the mines in the district apparently re-opened. That period ended with the start of World War II, when the U.S. government restricted the country's gold mines and shifted the available labor and supplies to the strategic metals mines that produced copper, lead and zinc. After WWII, a few of the mines operated intermittently. When I was last in this area in 2009, there was a renewed interest in several of the old operations. One of the mines, the Summit Mine was going into production. It seems that activity has since been suspended. On my most recent trek into the area, I visited 3 sites. This one was the most prolific of the Steeple Rock district's mines from 1933 until 1942 and then again after 1946. The property apparently consisted of at least 8 different shafts and one adit opening on the surface. There were approximately 7500' feet of underground drifts and stopes. The mine was last open in 1950's. It was in that time period that the mine equipment was sold and removed. Apparently, in the 1940's the mill was converted to flotation and was used to process ore from other mines in the district. For some reason, not much remains of the old tailings pile. 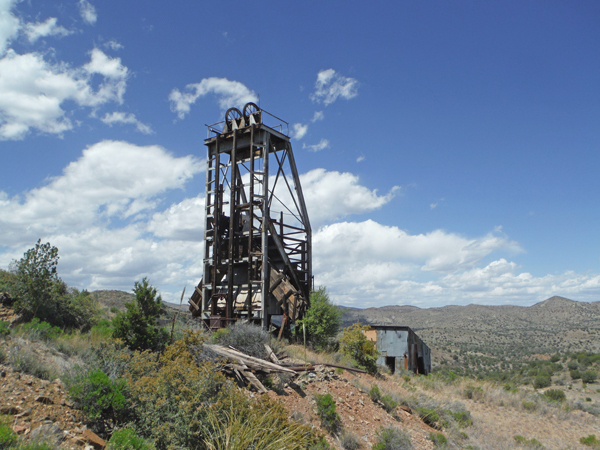 The notable structure at this mine is the very heavy duty headframe. It was not casually assembled. When the frame was put together, there was no skimping on rivets or bolts. The headframe was set-up to service a double compartment shaft with ore chute outlets to either side. An ore skip is still in place. Off to the side is a man cage. While there are quite a few old concrete floors, only a few wooden buildings are still standing. This is the inside view of the one near the headframe. None of the old buildings seem to have been residential cabins. This interesting set of concrete foundations is near the shaft. My initial thoughts were that they may have been associated with some sort of boiler set-up? The more obvious of the concrete ruins were those of the old mill. At one time, it was rated as a 100 ton set-up. Near the mill site is this stack of lids and barrel bottoms. Many of the lids were identified as having contained NaCl or salt. I am not sure how the salt was used here. At other mines, salt was used in certain silver recovery processes. I have never seen more old assay crucibles and cupels. Monitoring the quality of the ore must have been a high priority here. This looks to have been an old liquid fuel stove. Down off the hillside was the opening to this old adit. There was a very strong breeze blowing out of the tunnel. It has been a while since this structure has been used. Was this a loading ramp rather than a path to the dump area? This bed looks like the one that was on my dad's 1956 Chevy pickup. On one of the other shafts, there is another headframe. This one is much more simple in its construction. The sides of the shaft have almost completely eroded away from the concrete collar. The headframe will probably not be standing much longer. 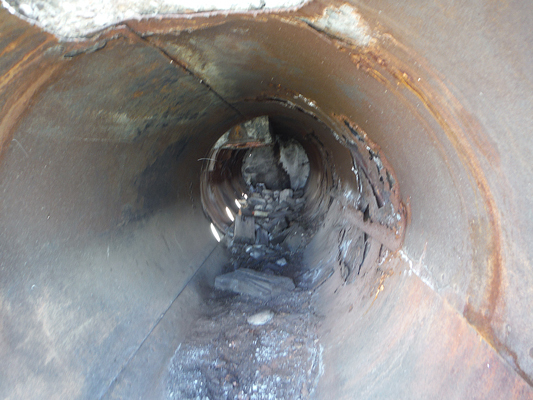 The shaft is in very poor condition. A few miles to the west is the second site that I wanted to see. Because I walked, rather than drive, into the previous site, I did not have the time to stop here. It was necessary to view it from across an intervening canyon. 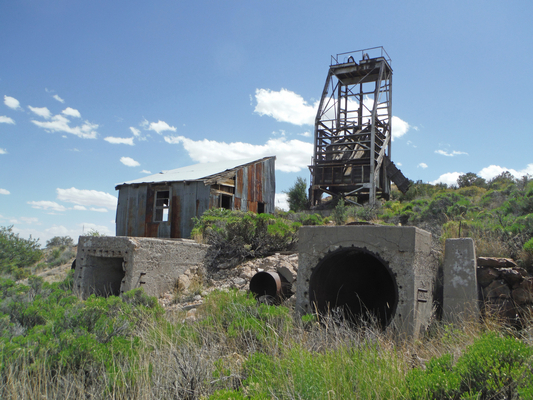 This mine was known to have produced some native silver from its single shaft. This gold and silver site was the third for the day. I had been by here in 2009. It was nice to see that little has changed. There had been some portable milling equipment set-up nearby. That was now gone. The history of this mine seems to parallel closely that of the other mines in this district--active in the 1930's, intermittent in the years afterward. The generator was used to power an electrical motor in the shed. That motor, in turn, powered this hoisting machine. I could not really tell whether the old bucket was for ore or for water. Maybe it was used for both? This shed now stores a collection of sample bags. A small powder magazine stands near the old mine.